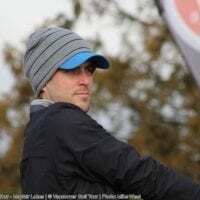 Seems a bit wrong for someone to steal the show from our Mission Golf Classic Champion Cory Renfrew, especially when he shoots a sight-unseen score of 7-under 64! But I guess when he’s been doing it all year (and last year), it shouldn’t come as a surprise when Langley’s James Allenby knocked in a perfect wedge on his final hole of the day for a walk-off Hole-in-one! But I guess it wouldn’t be much of a story if we didn’t tell you it was for the $5,000 Progressive Jackpot prize that had been building all year! Allenby and (Kevin) Stinson played well again on the day, shooting scores of 68 (-3) for a tie for 2nd, but the newly crowned CJGA Tournament Director (Renfrew) was just too hot for them on the day and would take home the 1,500 points for the Srixon/Cleveland Order of Merit Race and a cheque for $825. With Allenby & Stinson tying for 2nd, it’s now a 2-player showdown for the Race to the Freedom 55 Financial Open. Allenby holds a 1,500 point lead over Stinson heading into the final qualifying event next week at the VGT Player’s Championship. The player leading the Order of Merit at the end of this event earns the coveted spot into the Point Grey event! 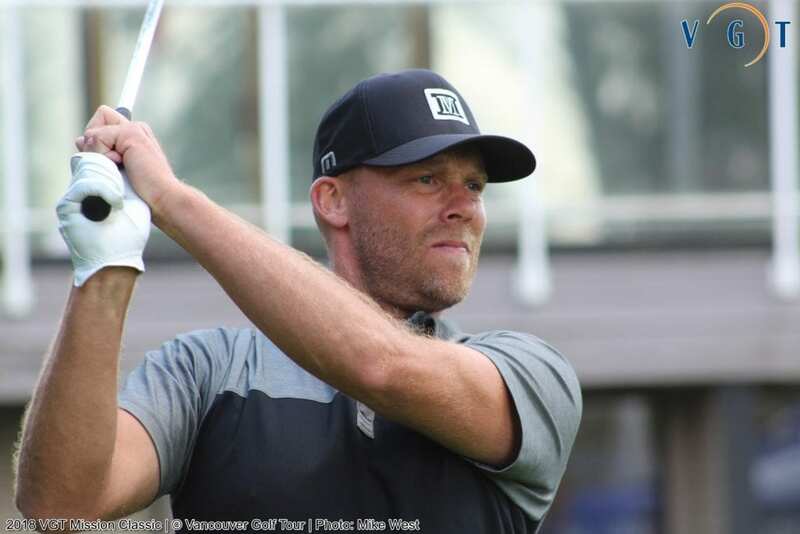 Top Amateur honors on the day went to Abbotsford’s Dean Reddicopp, who fired a 72 and good enough for his 2nd consecutive Amateur win on the VGT! He tops the Cleveland/Srixon VGT Amateur Order of Merit after 6 events! Dean Reddicopp fired a 72, good enough for his 2nd consecutive VGT Amateur Win. In the A/B Competition, it was Brian Baker who topped A flight with a Gross Score of 77 and Peter Jones who won his second event of the season in Flight B with a score of 87. 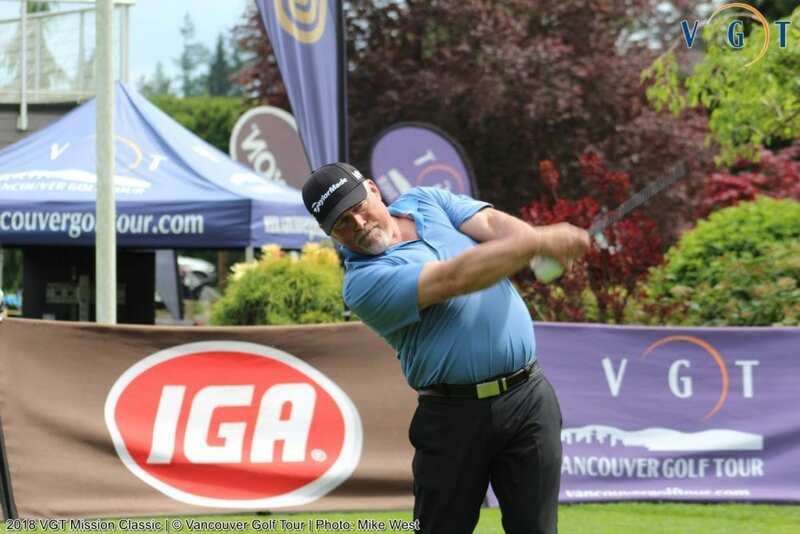 It goes without saying, but our continued thanks go to IGA Stores of BC for their Tour Title Sponsorship of the VGT for the 12th straight year. And without the support of our host courses, we do not have a place to play. 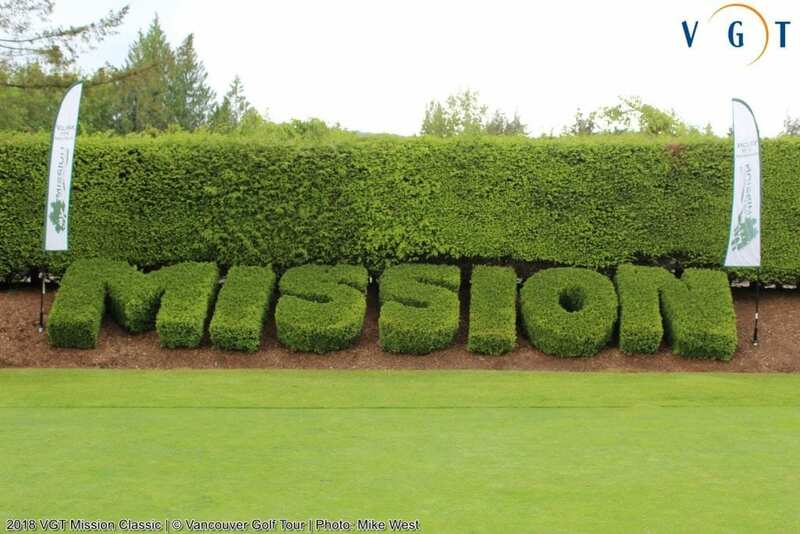 So our sincere thanks to Head Professional Mark Anderson and his team at Mission Golf & Country Club for possibly being the most welcoming team we see on a yearly basis! The course was in wonderful condition and the roast beef buffet was to die for. We really appreciate your support hosting the tour year-in and year-out! On behalf of the Tour and the players, we thank-you! And finally, to each and every volunteer and member of the VGT Team, we owe you all a huge round of applause for putting on another great show for our local golfers. Thank-you!